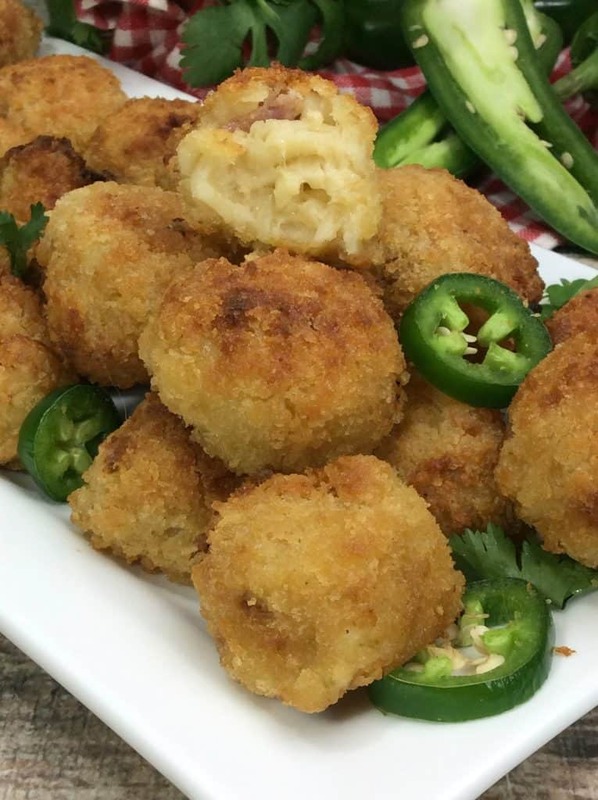 These Air Fryer Mac and Cheese Balls are classic comfort food at its finest. You will love the crispy outside and creamy cheese center. Mac and Cheese at its finest. Have you had the fun of cooking with an Air Fryer yet? An Air Fryer is nice because it helps you to be able to cook all of your favorite foods like Mac and Cheese Balls with less fat and calories. What?!?! I would say that is pretty awesome! If you don’t have one yet– hurry– head over to Amazon and get one now. You’ll thank me later! 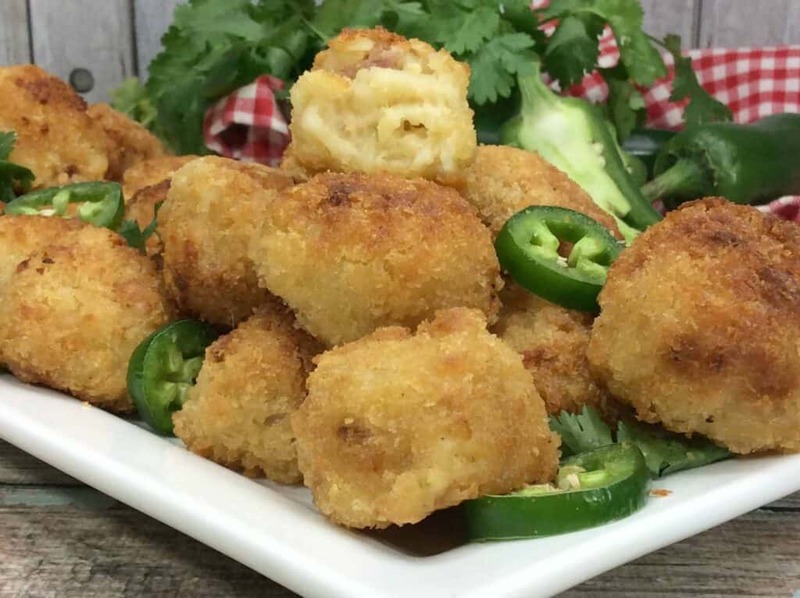 If you are looking for some recipes for the Big Game this weekend– Mac and Cheese balls should be on the top of your list. Crunchy out side– Cheese goodness on the inside. Sounds like the perfect recipe to me. If you love cheese, you’ll probably also love our Queso dip. 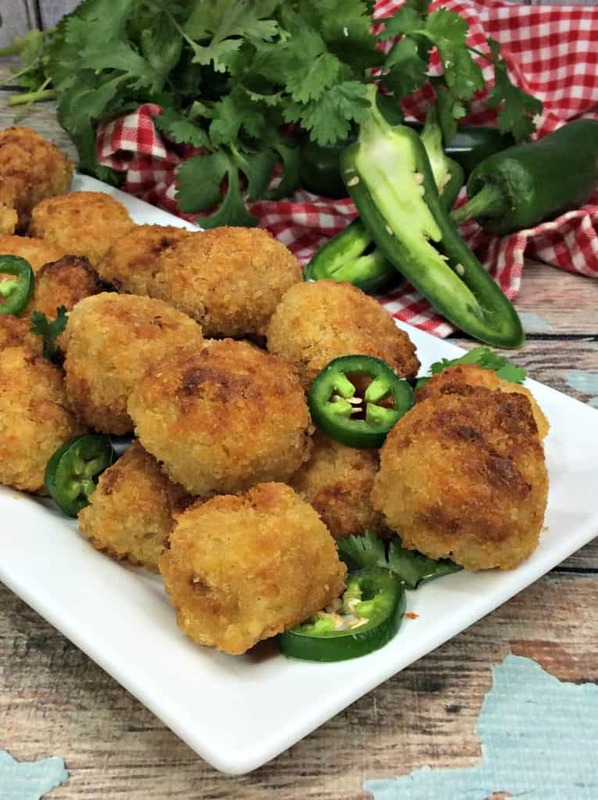 I won’t make you wait any longer, though… is here the most delicious Air Fryer Mac and Cheese Balls recipe. You are welcome. Shred your Colby and Jack cheese cheese and set aside. Dice your Jalapeno and set to the side. Grab a large pan and make the roux. Over medium heat melt your butter. Add flour and mix until combined and its a light brown color. Add 1 cup of whole milk and whisk until thick. Add your cheese one cup at a time. Mix until cheese is all melted and smooth. Repeat with remaining cheese. Add the macaroni and jalapenos and mix until well coated. Now place your macaroni and cheese in a container and put it in your refrigerator. Refrigerator for 1 hour. Form your macaroni and cheese into 1″ balls and place on your pan. In a medium sized bowl beat the eggs and add 1/4 cup milk in a bowl. Dip balls into egg wash then roll in the panko. Make sure to coat completely. Heat your Air Fryer to 380′ and cook for 12 minutes. 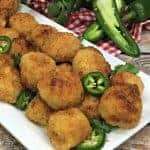 If you are on the Keto Diet, you’ll love these 12 Best Keto Air Fryer Recipes. These Air Fryer Mac and Cheese Balls are a classic comfort food at its finest. You will love the crispy outside and creamy cheese center. Mac and Cheese at its finest. Add flour and mix until combined and its a light brown color. Add 1 cup of whole milk and whisk until thick. Add your cheese one cup at a time. Now place your macaroni and cheese in a container and put it in your refrigerator. Heat your Air Fryer to 380' and cook for 12 minutes.